This post focuses on the history of Mars confectionery in the UK. Many of the products for which Mars are best known, such as Skittles, Twix and Galaxy chocolate, were originally developed and sold in Britain. Franklin Clarence Mars (1883 – 1934) entered the wholesale confectionery business in Tacoma, Washington, from 1910. Mars relocated to Minneapolis, Minnesota, in 1920, where he formed the Mar-O-Bar company and began to manufacture chocolate bars. 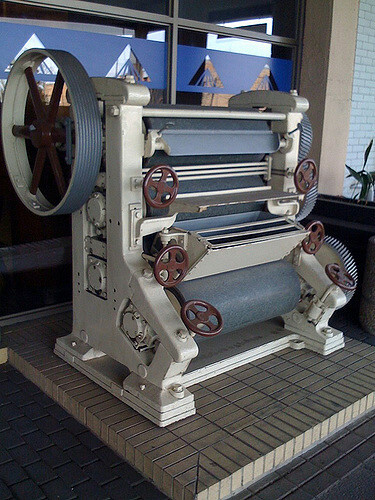 The business struggled until his son, Forrest Edward Mars (1904 – 1999), suggested that Mars create a chocolate bar influenced by a malted milkshake. On the back of this idea, the Milky Way bar was introduced from 1923. The Milky Way bar was an immediate success. Sales exploded without the help of advertising. The product enjoyed a cost discount against rival chocolate bars, due to a filling made of relatively low-cost nougat. Mars was one of the largest confectionery manufacturers in America by 1930. The Snickers bar was launched in 1930, and 3 Musketeers was launched in 1932. Forrest E Mars graduated from Yale University with a degree in industrial engineering in 1928. He initially worked as a superintendent at his father’s factory. Meanwhile, he read voraciously on business methods, especially those used by DuPont, a large chemicals company, and business tycoon John D Rockefeller (1839 – 1937). A brash and ambitious man, it wasn’t long before Forrest Mars clashed with his father. He deemed management as lax, and considered product quality to be inconsistent. Mars resented how his father cut costs by using low-quality chocolate in his products. He also harboured ambitions for Mars to expand its overseas sales. Forrest Mars demanded a one third stake in the company. His father refused, but in recognition of his contribution he was given $50,000 and the foreign rights to Mars products, and told to establish a business for himself. To gain an understanding of European confectionery manufacturing methods, Mars worked incognito at the plants of Tobler and Nestle in Switzerland, a case of industrial espionage he would later openly confess to. Mars took what he learned in Switzerland, and leased a single room factory in Slough, a small industrial town outside London, from 1932. England was chosen for the European base because Mars could speak the language. He initially employed a staff of eight. Mars understood that British confectionery tastes differed to those of his native land. His first product was an Anglicised version of the Milky Way, which he called the Mars bar. Introduced from August 1932, the product was initially entirely handmade. Instead of the Hershey chocolate used in the US, the Mars bar used a Cadbury chocolate coating, and the toffee was sweeter. Within a year, two million Mars bars had been sold, and 100 people were employed. The product was advertised nationwide by 1934. Mars boosted sales by advertising his confectionery as a nutritious food product. The British Milky Way, a different product to the American Milky Way, was launched in 1935. Not all of the early product introductions were a success; short lived confectionery lines included the So Big bar and a vanilla version of the Mars bar. Forrest Mars was a great believer in scientific management as a driver of profitability. He also had a fanatical dedication to quality. However he could also be cruel and demanding, and on occasions he demonstrated a volatile temper. However for upholding his high standards his managers were rewarded handsomely. Franklin Mars died in 1934 and control of Mars Inc passed to his widow, Ethel V Mars (1888 – 1945). Maltesers were introduced in Britain from 1936. Following the outbreak of the Second World War, Mars returned to the United States. There he established a business producing M&Ms, a product that he had developed based on Smarties, a British confection manufactured by Rowntree. Rowntree agreed not to compete with M&Ms in the US in exchange for the production rights to the Mars bar in South Africa, Canada and Australia. The Bounty bar was launched in the United Kingdom in 1951. It had similarities to Mounds, an American chocolate bar produced by Peter Paul. Mars was the third largest chocolate manufacturer in Britain by 1960. Starburst (originally known as Opal Fruits) and the Galaxy chocolate bar were introduced in the United Kingdom in 1960. The “Mars a day” slogan was introduced in Britain from 1960. Forrest Mars gained control of Mars Inc in 1964. An egalitarian, he quickly dismantled the executive dining room and dismissed the French chef. The art collection was sold off. Private offices were opened up with glass panels to improve communication. Executives were obliged to clock in and out the same as everyone else. However to compensate for his strict demands, Mars raised salaries by 30 percent. Mars also increased the proportion of chocolate in each bar. Forrest Mars resigned as president and chief executive officer of Mars Inc in 1967. In his place he appointed Alfred Baxter (1913 – 1986), a Unilever veteran from England. Mars had opened a second factory in Slough, located on Liverpool Road, by 1966. The Twix was first produced in the United Kingdom from 1967. Forrest Mars retired in 1969. He handed ownership of the company over to his two sons in 1973. Skittles were first introduced in Britain in the 1970s. Slough produced two million Mars bars a day by 1988. It was the highest-selling chocolate bar in the United Kingdom. 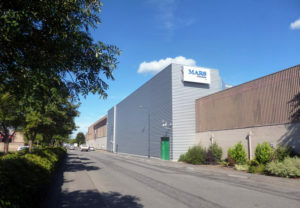 Mars announced it would close its Liverpool Road factory, with the loss of 500 jobs, over the course of two years, in 2005. Production of Twix bars was relocated to France and Germany. Starburst manufacturing was transferred to the Czech Republic. The Dundee Road plant received a £45 million modernisation investment, and continues to produce Mars bars, Snickers, Galaxy and Maltesers. Mars opened a new £7 million research and development facility at Slough in 2012. Slough is the European headquarters for Mars confectionery. The Dundee Road plant employed 1,000 people and produced 2.5 million Mars bars a day in 2013. Mars remains a privately-held company controlled by the Mars family. Research by Statista indicated that Mars had the largest share of the global chocolate market in 2016, at 14.4 percent.